Setting up the display of special literary items created just for Indie Bookstore Day. Super cute onsies with Dragon Loves Books artwork, canvas pouches that quote Colson Whitehead "Be kind to everybody. Make Art. Fight the Power." and even free Llama Llama themed coloring books! Perhaps most exciting is the FREE audiobook promotion for the day. 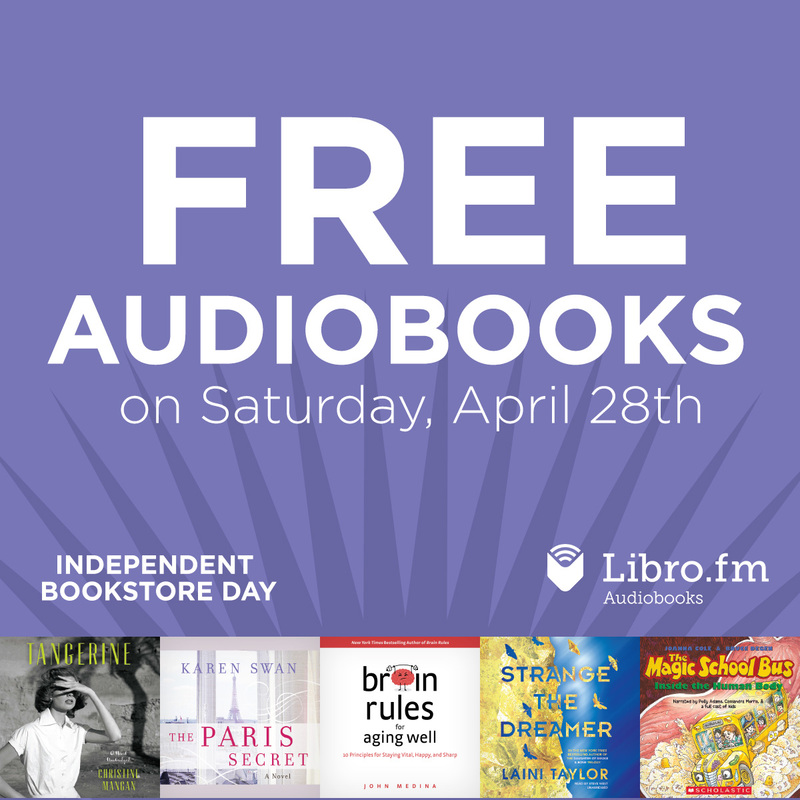 Just sign up for a Norwich Bookstore Libro.fm account and chose from a range of titles to download at no cost only on Indie Bookstore Day. Independent Bookstore Day is a one-day national party that takes place at indie bookstores like ours across the country on the last Saturday in April.